If you are reading this, then you do play around a lot with video files. 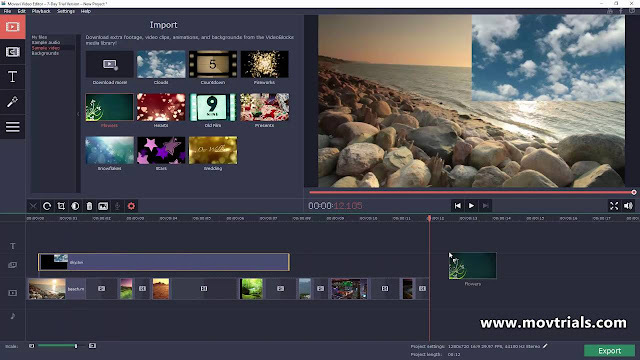 This means that you are in a constant need of a good video editing software. The only suggestion I have for you is the Movavi Video Editor. 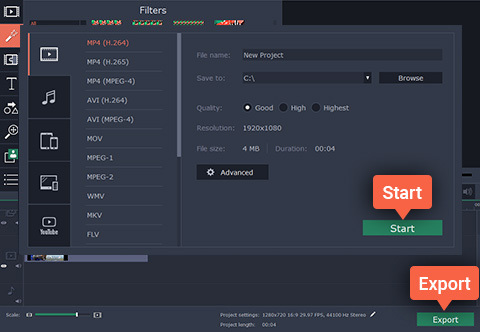 It lets you edit, put filters, insert texts and play with any video file in the easiest way possible. It is sleek and works efficiently for a video editor of its file size. It is also very easy to use and reduces your work a lot, due to its advanced features. 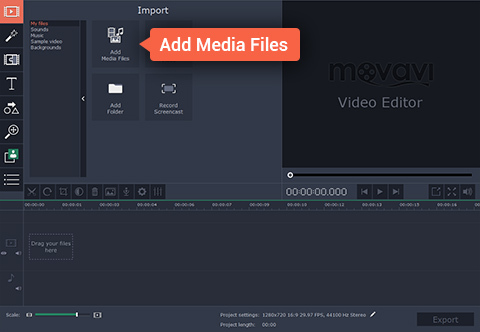 Firstly, download and install the Movavi Video Editor on your PC. To do so, you can go to Movavi’s official site or directly go to the download page of Movavi Video Editor. You can also go through the guide on how to flip a video there. After installation, open the software and select the full feature mode. Then add the video file that you want to flip by simply clicking on ‘Add Media Files’ button as shown in the picture below. Due to the extended format support, you can flip or edit videos of any format, be it a camera footage, an HD or UHD file or even a cell phone shot video. After the chosen file is completely added to the timeline, open the filters tab. Choose ‘Adjustments” there. To invert the video according to your choice, drag and drop the flip effects onto the clip on the timeline. The result would be visible on the preview screen. To remove or readjust, click on the small star icon on the video in the timeline and do so. You can also rotate your video in any desired angle of your choice, crop it or even add distortion effects to it. After you are done flipping the video and or adding other effects to your video, click on the ‘Export’ button. A pop up will open where you can select where you want the edited video to be saved, select the quality of the output file, and the file format of the output file (MP4, MOV, AVI and many more). Now click on start to save your video. After this, your edited video will be saved in the folder you chose with all the effects added on to it. In conclusion, flipping a video is easy in the digital age. But it is even easier with the Movavi Video Editor. So why wait, just download it and enjoy all its features for easy and effortless video editing.